With the addition of the EF 200-400mm f/4L IS USM Extender 1.4x to Canon’s L series range of lenses Canon has thus opened a new dimension for its lens line-up. 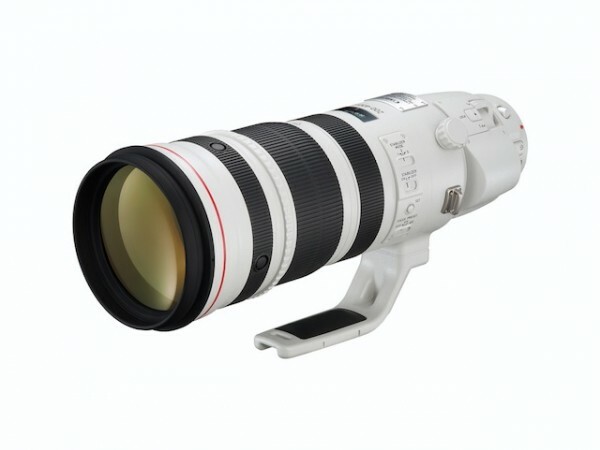 The EF 200-400mm f/4L IS USM Extender 1.4x features a 200-400mm focal length range with a fast f/4 constant maximum aperture throughout its focal length. But the most striking feature is the built-in 1.4x extender for the first time. Apart from that it also features, what Canon claims, is a 4-stop image stabilization. Canon has provided a magnesium alloy body complete with weather sealing and the essential lens coating to ensure that it has packed everything that a professional photographer demands out of a tele-lens. For the first time in any commercially available lens Canon has provided a built-in 1.4x extender. The lens thus automatically becomes a sought after tool for professional sports and wildlife photographers looking for that really tight composition. Just with a flick of a switch the lens extends from 200-400mm to a 280-560mm giving photographers that extra amount of reach that makes all the difference. Additionally, the use of superior quality optics the effect of the extender on image quality is minimum to non-existent when engaged. Weather sealing is an essential aspect that most wildlife photographers look for in their equipment. A part of the respected Canon L-series line-up of lenses the EF 200-400mm f/4L IS USM Extender 1.4x comes with weather sealing. It is made out of tough magnesium alloy. The glass optics features fluorite and Ultra-Low Dispersion (UD) elements. This drastically reduces color fringing and blurring at such high ranges. Additionally to reduce ghosting and flares Canon has provided Advanced anti-reflection SubWavelength Structure Coating (SWC) and Super Spectra Coating. Canon has provided IS ‘Mode 3’ which engages only when the exposure is made. This has critical advantages especially when the photographer is panning for fast moving subjects without the image stabilization system trying to compensate for that movement. Canon has provided the Power Focus (PF) Mode which when used with selected models of Canon DSLRs will allow the photographer to achieve an accurate ‘pull-focus’ effect. When the teleconverter is engaged you do lose a bit of shutter speed as the maximum aperture comes down to f/5.6. The lens weighs about 3.6 kg making it quite a behemoth to lug on your shoulders. It is pricy too coming with a RRP of just under $12 K.
Perhaps, Nikon 200-400 f/4 VR II lens. There are currently no other lens that has a built-in extended. As such it is in a league of its own. *Lenses with dust/moisture resistance are fitted with a rubber ring on the lens mount which may cause slight abrasion of the camera mount. This in no way effects either the lens or camera performance.